Item: 2018-020.1808 - Ms. G.V.N.C.S. 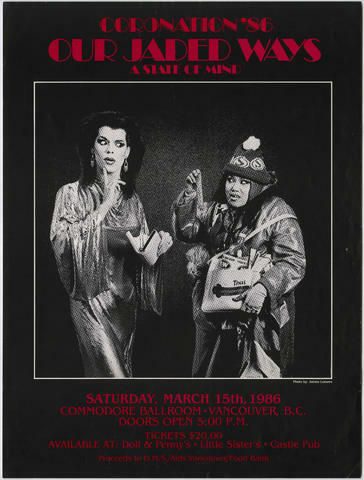 [Greater Vancouver Native Cultural Society] Lady of the White Rose Josie Marie : Mr. G.V.N.C.S. Double Platinum Dragon Hot Rock : awards night : Aug. 26th at Chucks Pub, 455 Abbott St.